Continuing you on the promo, Carey Mulligan & Mary J. Blige hit the red carpet at the 'Mudbound' premiere during the 55th New York Film Festival at Alice Tully Hall yesterday(October 12th) in New York. Carey Mulligan wore a GIAMBATTISTA VALLI RESORT 2018 red silk ruffle gown with a jewel neckline, bishop sleeves and a bow belt waist. Beauty wise, she went with a matching red lip and a complimentary up-do which topped off her look. Mary J. Blige turned to one of her favorite designers, MICHAEL KORS. She wore a PRE-FALL 2017 white suit which featured a belted waist, gold button detail jacket and the matching trousers. 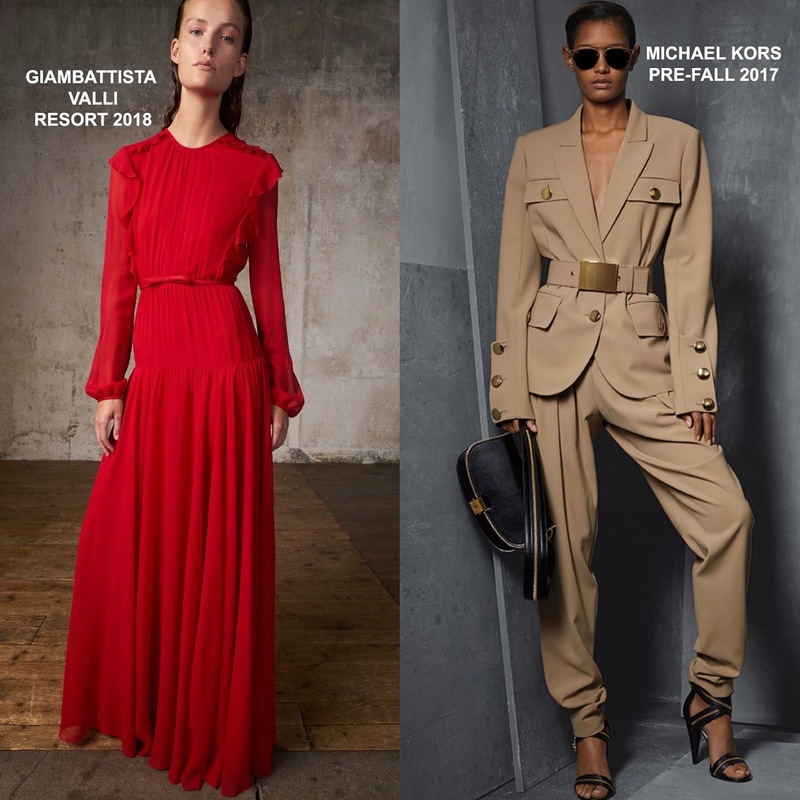 If this looks familiar, that's because Tracee Ellis Ross wore it in May 2017. I am not to crazy about the fit of the trousers but I love the suit. Sparkly jewelry and side swept waves finished up her look.